This tour package looks after all the places the names of which are associated with Sai Baba, a legendary fakir, highly revered by both Hindus and Muslims. During the tour one gets to see the Ashrams and temples dedicated to Sai baba. 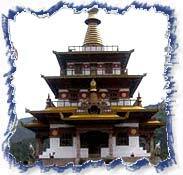 Besides there are some other splendid additions to this devotional tour package. During the tour tourists also get to visit important destinations such as Madras, Mysore, Bangalore, and Delhi. After lunch, visiting Laxmi Narayan Temple, Hanuman Mandir, Gauri Shankar Temple and Chhattarpur Temple and Akshardham Temple. Check in at hotel in Bangalore. Morning transfer to domestic airport to connect flight for Bangalore (2:15 hrs). Afternoon visit Cubbon Park, Bull Temple, Mysore Arts and crafts Centre and the commercial street. 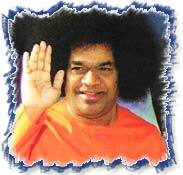 After breakfast proceed to Puttaparthy, enroute visit Le Pakshi Shri Satya Sai Baba Ashram. After breakfast, depart by car / coach to Bangalore. Check-in at hotel. After breakfast proceed to Hassan to visit Belur-known for Chamakeshwara Temple. Proceed to Halebid, with elaborately carved temples of Hoysaleswara and Kedaveshvara. Visit Mysore, visit the palace of the Maharaja, Chammundi Temple and Vrindavan Garden. After breakfast, depart to Bangalore. After lunch proceed to Madras by train (4-5 hours journey). Arrive Madras stay at hotel. After breakfast, city tour visiting National Arts Gallery & Museium, Fort St.George, Fort Museum, St.Mary's Church, Victorua Technical Institute and drive along the Marina Beach. Afternoon transfer to airport for flight back to home.